Description: Spacewar! 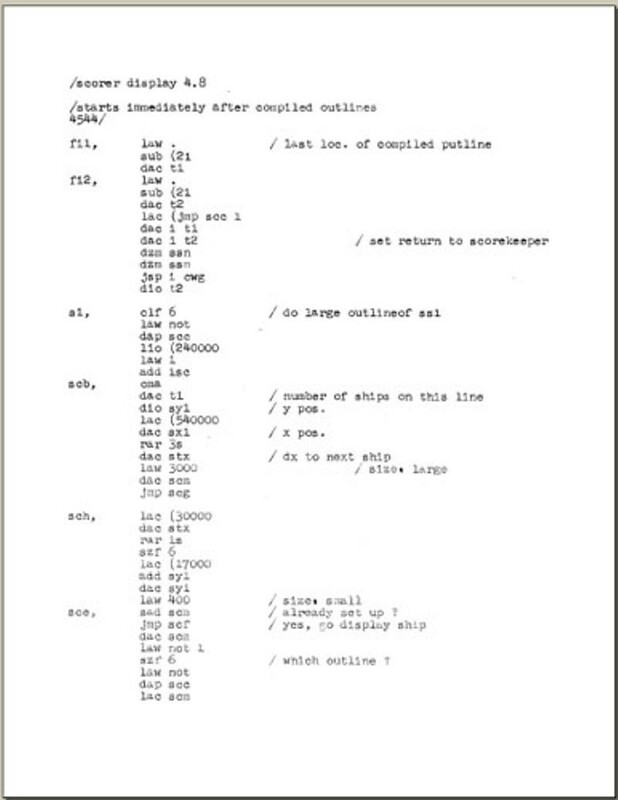 scorer display source code for a later version (4.8) of Spacewar! developed by initials "dfw" in 1963. Initially conceived by Steve Russell, Martin Graetz and Wayne Wiitanen in 1961, Spacewar! is considered one of the earliest video games for a digital computer. The first version was written by Steve Russell in 1961. Significant improvements to the game were made in the spring of 1962 by Peter Samson, Dan Edwards and Martin Graetz. The game was rapidly copied and became a staple demonstration program for showing the sophisticated graphical capabilities of the PDP-1 system.